The Linguistics of Laughter examines what speakers try to achieve by producing ‘laughter-talk’ (the talk preceding and eliciting an episode of laughter) and, by using abundant examples from language corpora, what hearers are signalling when they produce laughter. In particular, Alan Partington focuses on the tactical use of laughter-talk to achieve specific rhetorical, and strategic, ends: for example, to construct an identity, to make an argumentative point, to threaten someone else’s face or save one's own. Although laughter and humour are by no means always related, the book also considers the implications these corpus-based observations may have about humour theory in general. 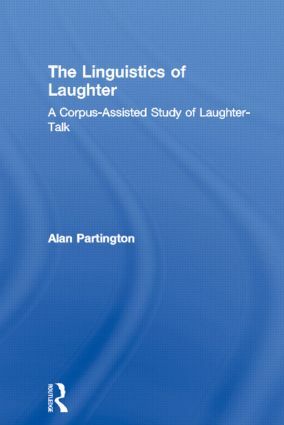 As one of the first works to have recourse to such a sizeable databank of examples of laughter in spontaneous running talk, this impressive volume is an essential point of reference and an inspiration for scholars with an interest in corpus linguistics, discourse, humour, wordplay, irony and laughter-talk as a social phenomenon.